We would all love to get rid of unwanted embarrassing facial or body hair one place or another, and say good-bye to it forever. But can you benefit from permanent hair removal? Can any of the existing methods be applied to you without any danger? 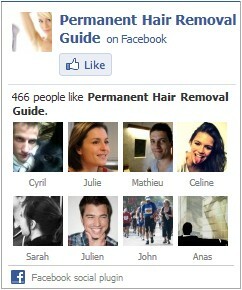 Which Permanent Hair Removal Method? Is there a permanent hair removal method which is economical, painless and safe? Unfortunately, permanent hair removal techniques are not always what they seem. In short there is no method currently available which fills all of the criteria listed above. However, by a process of comparison, you will be able to decide which hair removal method suits you and satisfies as many of those requirements as possible, depending on your order of priorities. What do we Mean by Permanent Hair Removal? So if you are seeking a permanent hair removal solution that will last for many years then you narrow down your choice to electrolysis or laser. Where to Practice Permanent Hair Removal? These hair removal methods can be performed either in medical offices, in beauty centers or at home.